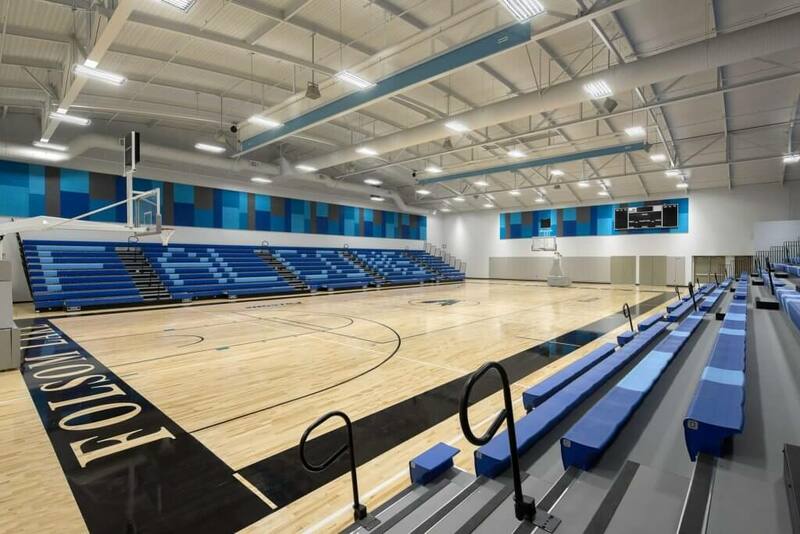 The new dual gymnasium building is an essential focal component of the school’s athletics and physical education complex. 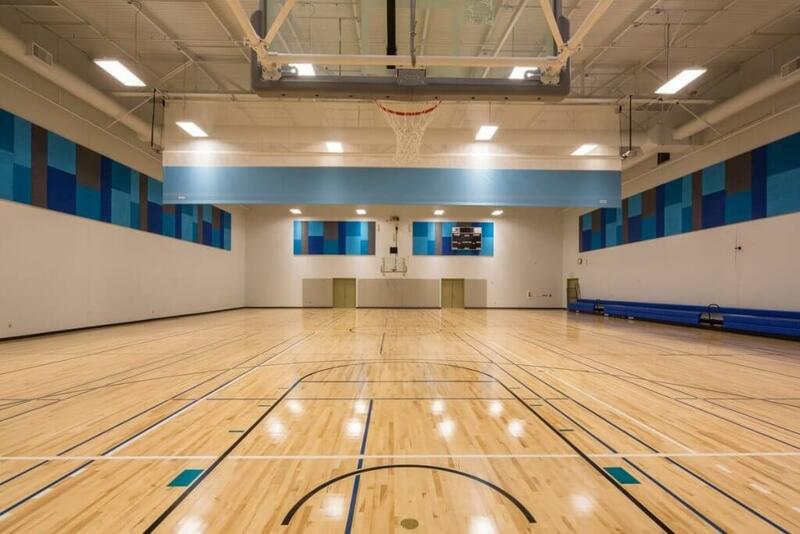 Features include spectator and practice gymnasiums with large men/women and faculty locker rooms, administrative offices, and training areas with hydrotherapy treatment rooms. 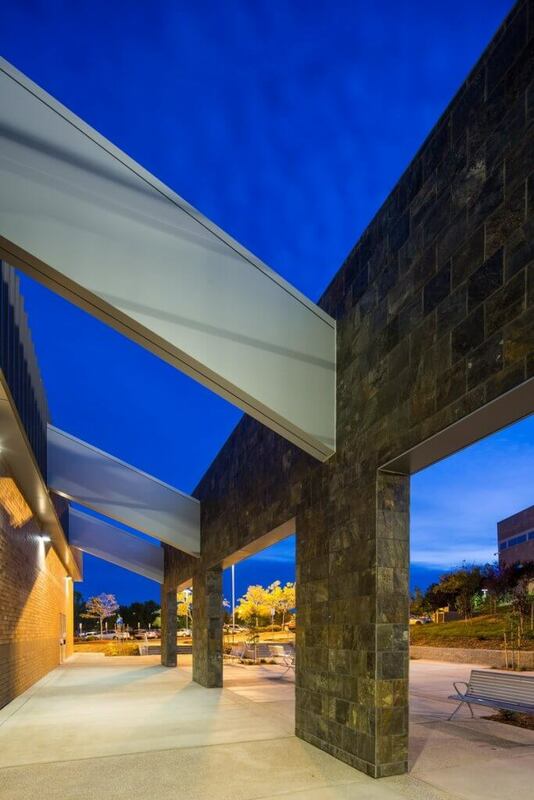 The building’s innovative architecture pays homage to the school’s mascot, a falcon in flight. 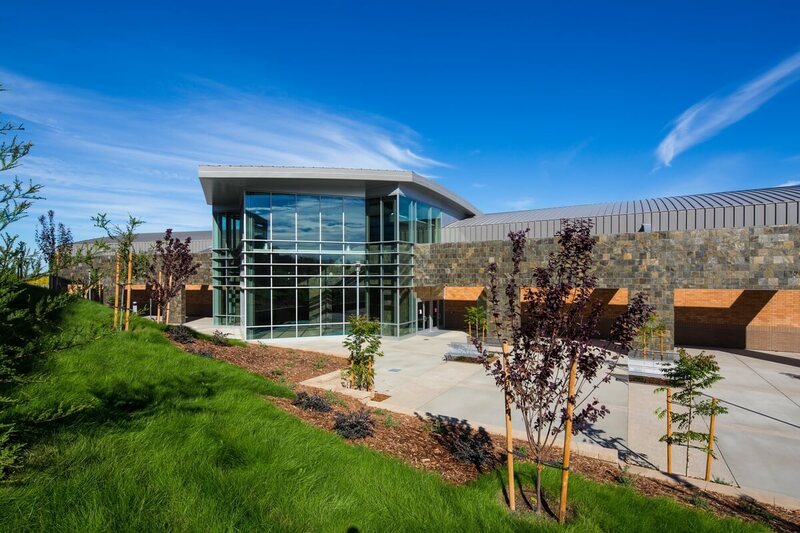 The design features include distinctive barrel-vaulted arched roofs over the gymnasium, metal wall paneling, metal/TPO roofing, thin brick veneer, stone tile cladding, a fully motorized retractable bleacher system, professional A/V packages, full concessions room in the lobby, and a large illuminated sliding glass panel trophy casework lining the exhibit hall corridor. Flint worked with the District to have more than $1M of value engineering options approved.